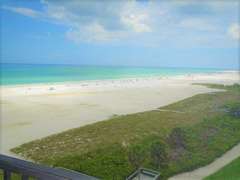 Gulf and Bay Club- A701 Best view on Siesta! 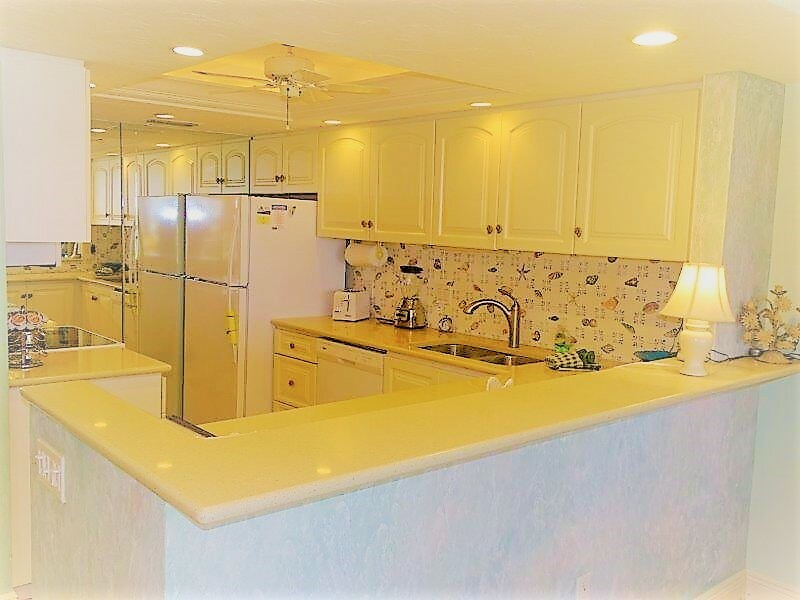 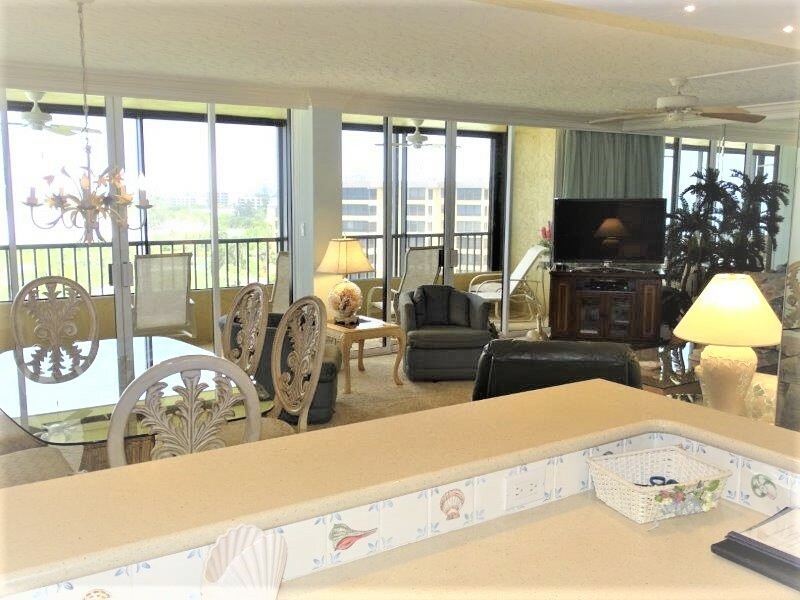 Enjoy this fabulous 3 bedroom end unit with a direct view from your lanai and living room at the beautiful evening sunsets. 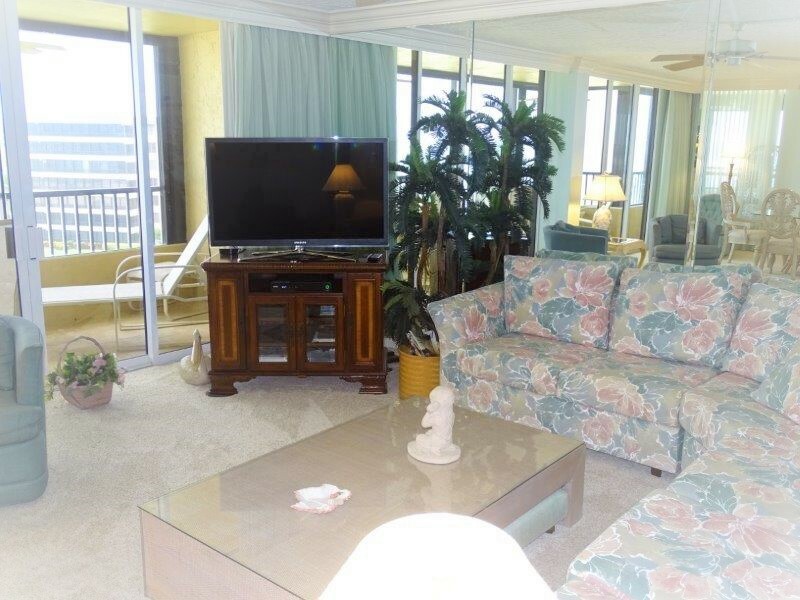 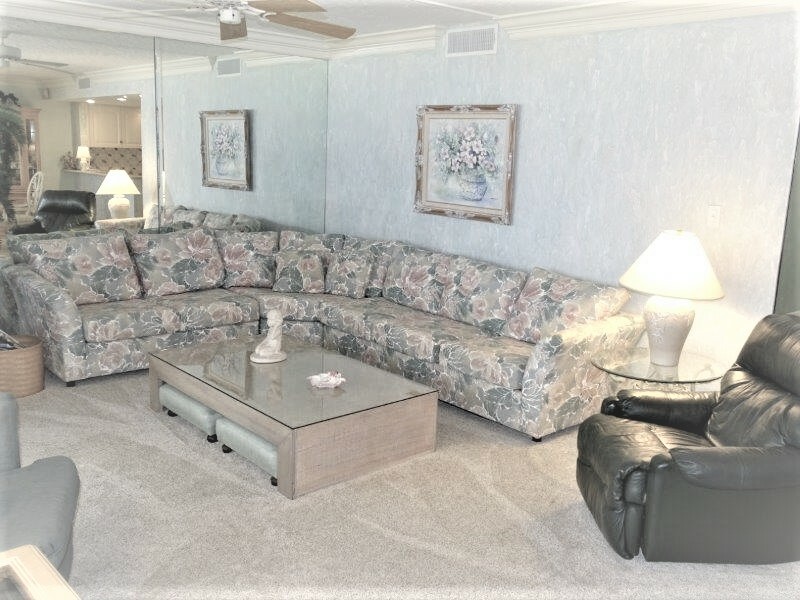 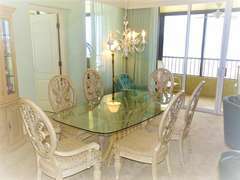 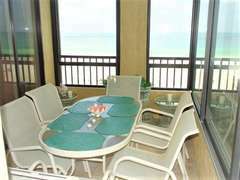 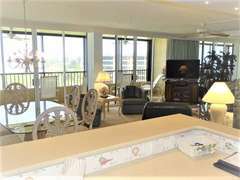 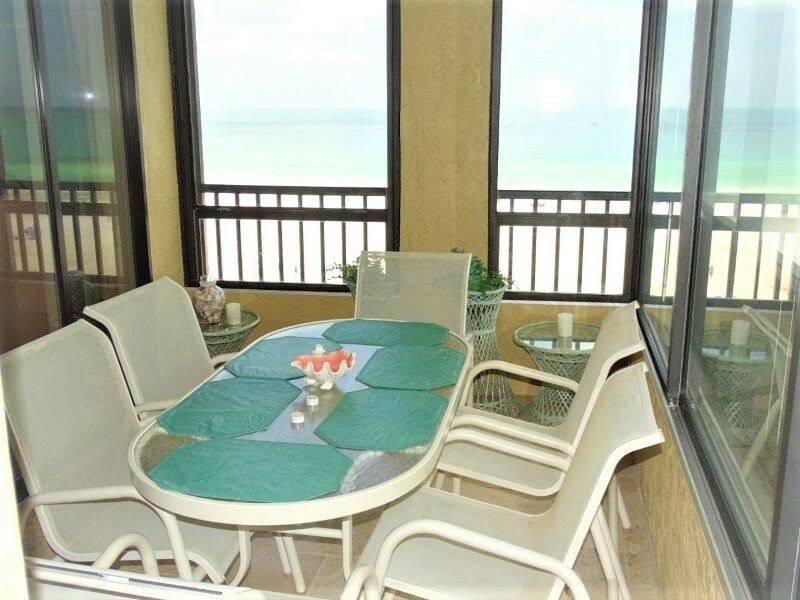 This unit has 2 very well furnished enclosed lanais for eating or for lounging with sliding windows for the nice evening gulf breezes. 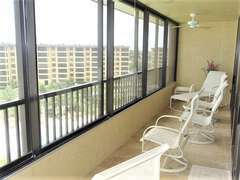 Also for your needs, it is Wi-Fi equipped. 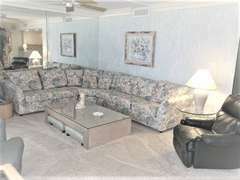 Very spacious, comfortable and waiting for your arrival. 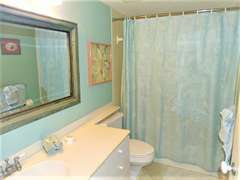 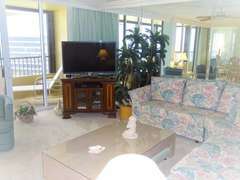 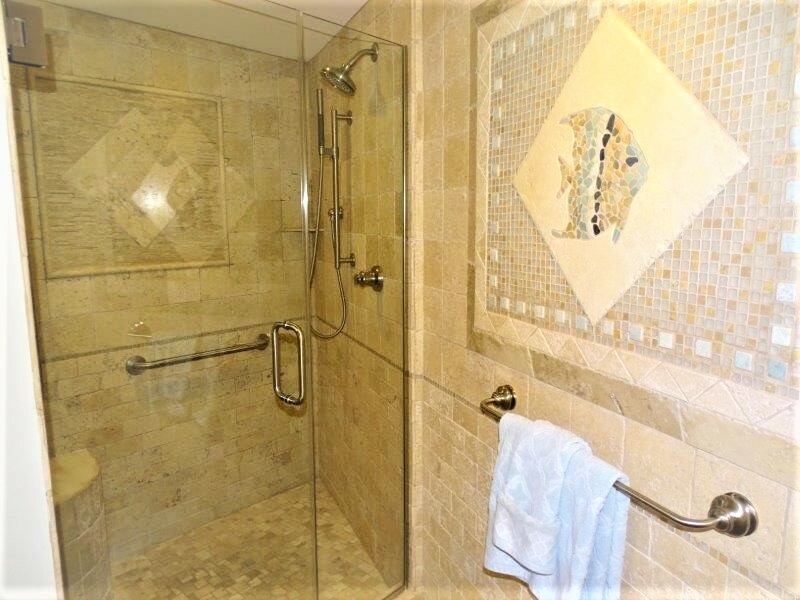 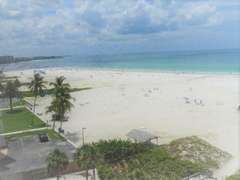 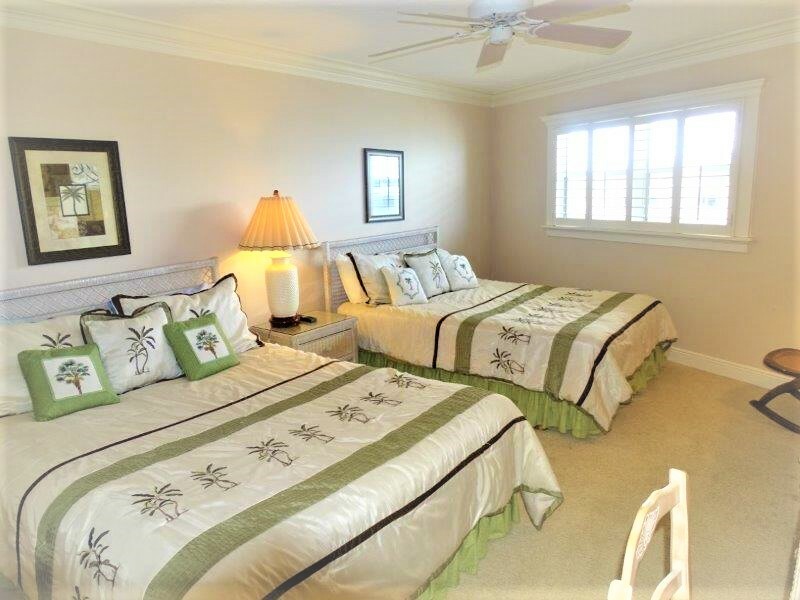 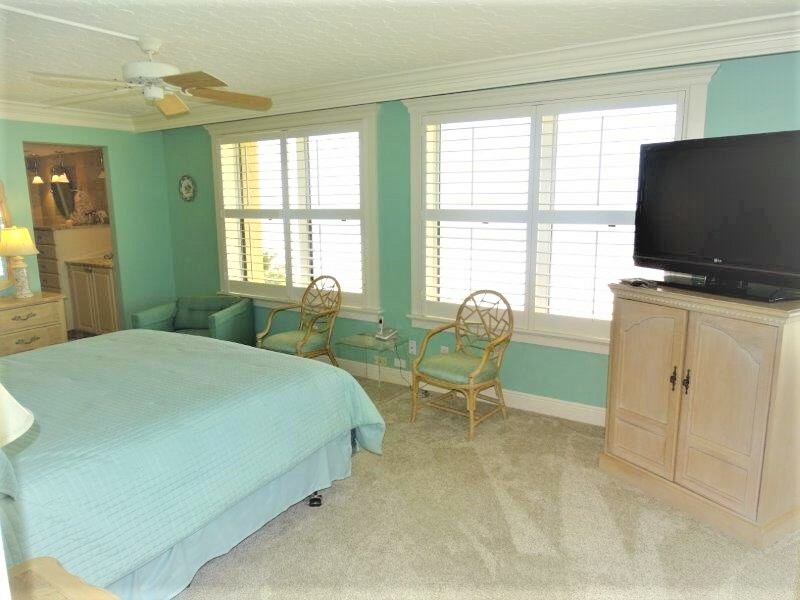 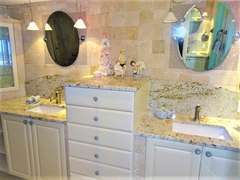 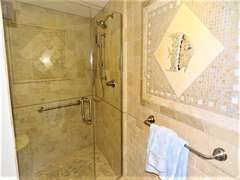 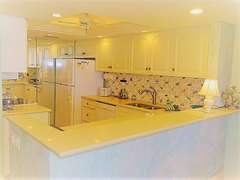 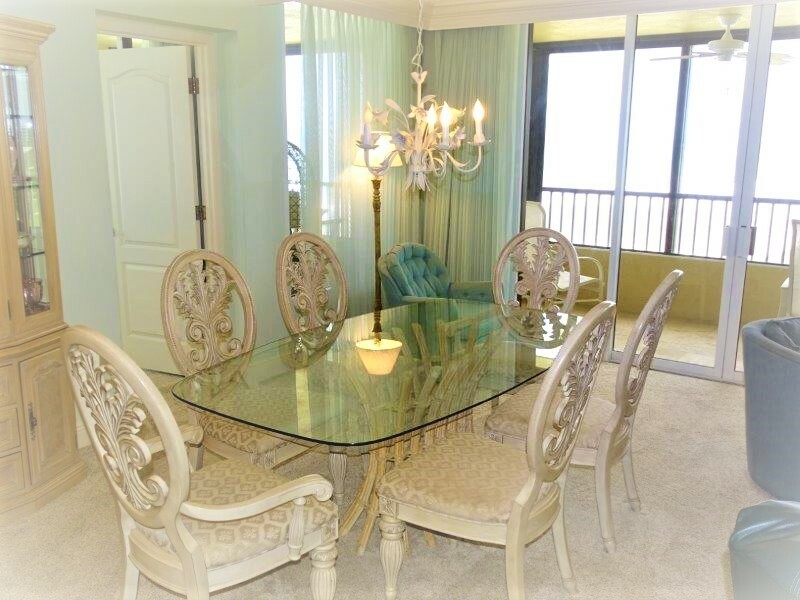 Large Master bedroom with direct view of the Gulf and a southern view of Siesta Beach. 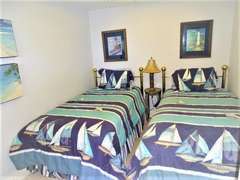 The Guest Bedroom has 2 double beds, desk/chair and TV. 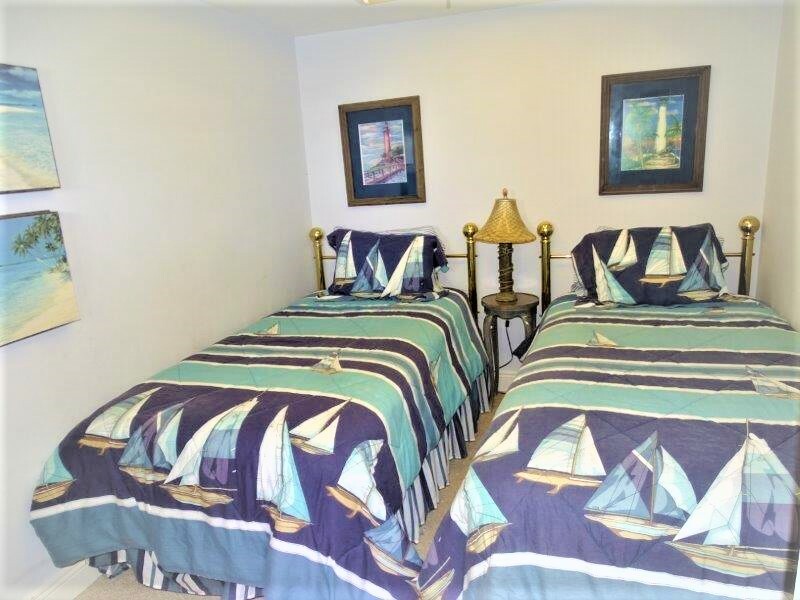 3rd smaller bedroom is furnished with 2 twin beds. 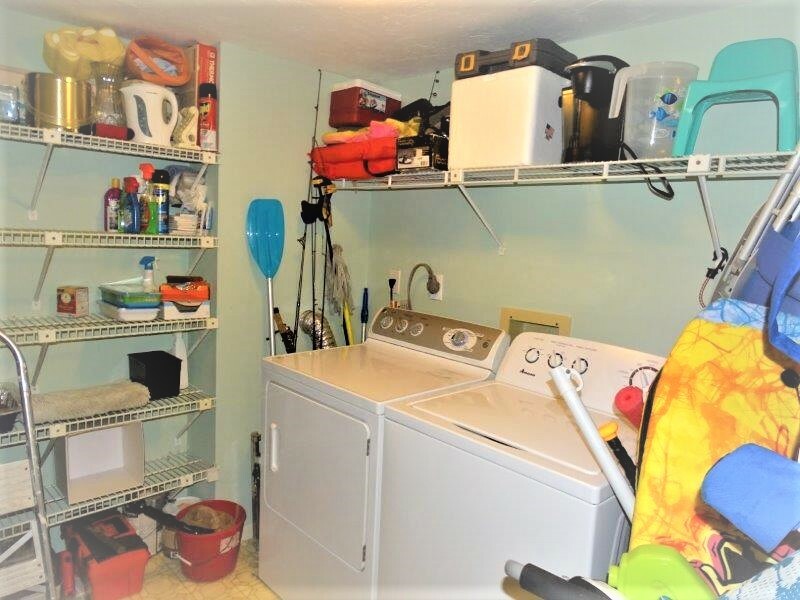 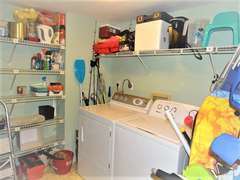 Also has utility room with washer/dryer. 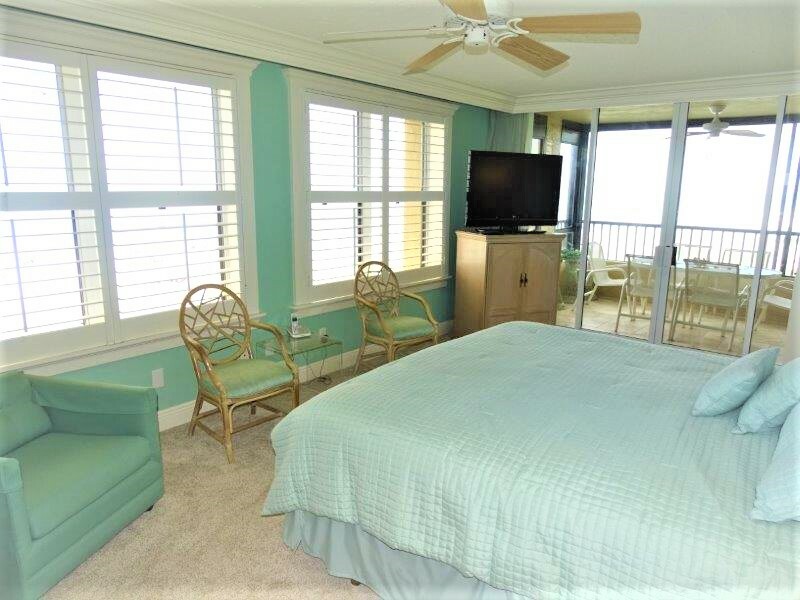 This unit provides the ultimate vacation.